Sustainable development is an area that has world-wide appeal, from developed industrialized countries to the developing world. Development of innovative technologies to achieve sustainability is being addressed by many European countries, the USA and also China and India. The need for chemical processes to be safe, compact, flexible, energy efficient, and environmentally benign and conducive to the rapid commercialization of new products poses new challenges for chemical engineers. 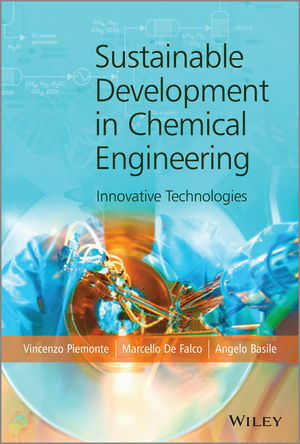 This book examines the newest technologies for sustainable development in chemical engineering, through careful analysis of the technical aspects, and discussion of the possible fields of industrial development. Throughout the book there are case studies and examples of industrial processes in practice. Book Support Website Please visit the book support website and enter the title, author or isbn to download powerpoint slides of the figures in this book.